Among the many iterations of Beethoven’s “victory” theme from Symphony No. 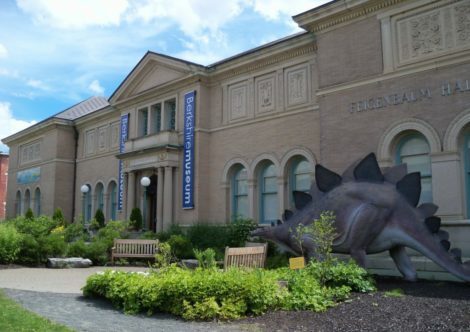 5, to be heard in the Berkshires this summer, surely the most dazzling emerged on August 13 from the pen of Charles Ives and the heart and hands of Jeremy Denk. In Piano Sonata No. 2, “Concord, Mass., 1840-1890,” which he completed in 1915, the theme recurs continually This triumphal performance of one of the piano repertory’s most challenging works comprised the first half of the concert. The second half of Denk’s magisterial concert was comprised of Johann Sebastian Bach’s “Goldberg” Variations, published in 1741. This piece as well represents an imposing challenge, not least because it occupies iconic status, because so many harpsichord and piano virtuosi have recorded it. Furthermore, Bach wrote it for two-manual harpsichord. To make sense of the work on a single keyboard requires frequent crossings of the hands, all the while continuing three or four lines of counterpoint. Performing it live, as opposed to the recording studio is a Herculean task. Dangers lurk everywhere, and mistakes are brazenly obvious and can’t be edited away. Your reviewer has listened with admiration to Jeremy Denk on several occasions and contexts, in recital with the flutist, Paula Robison, previously performing the Concord Sonata, and, with Joshua Bell and the BSO, in Felix Mendelssohn’s Concerto in D minor for violin, piano, and strings. But never have I heard Denk express such a resplendent array of pianistic colors, such illumination of even the smallest embellishments, such clarity of the multiple contrapuntal lines and arcs of phrase that cohere in Bach’s movements, and such a transparent comprehension of the architecture of the entire corpus. It was no wonder, then, that when the Goldberg came to an end, after Denk’s reverential restatement of the opening aria, the audience sat for 10 seconds of astonished silence. For many, this was as satisfying a concert experience as they could remember, on the same plane as Horowitz’s Sunday afternoon concerts in 1965, when he emerged from years of seclusion. Revelatory, elevating, transcendent, and thrilling are the nonmusical adjectives that come readily to mind. But it was the artistic structure that spoke to Jeremy Denk’s musical genius. What united the two halves of the program was the interplay of thematic material. In the Ives, several sustaining themes appeared and reappeared, often unexpectedly, in repetition, inversion, fragmentary integration, and in contrapuntal variation, such as the stunning set of crossovers at the end of the second, “Hawthorne” movement, in which Denk struck with his left hand, near the top of the keyboard, single sforzandos that composed in a minute’s time a melodic reiteration over a background of roiling, swirling, dense, interior lines and chords. The 25th variation of the Bach, a stately adagio framed in ambiguous three-quarter time, resembling curiously Ives’s intentional omission of bar lines, found Denk intensely exploring the meaning of previously-uttered thematic material, as if, after all this travail, to finally identify man’s place in the world. Each non-harmonic passing note seemed to be worthy of emphasis. These unanticipated chromatics, appoggiaturas, and leading tones pulled for deep emotion, and Denk’s exquisite left hand –stressed from but not defeated by all the preceding acrobatics – seemed to toll like a bell across a churchyard. With reason, the harpsichord virtuoso, Wanda Landowska, an idol of your reviewer’s childhood, called this movement the “black pearl” of the Goldberg variations. In this performance it was darkly resonant. Apropos of Goldberg Variations and artistic royalty, it would be well to note that Jeremy Denk eschewed in this performance the histrionics of Gould’s “fast” 1955 version and the agonized probing of his 1981 version, his last recording before dying at the age 50. The self-conscious emotional exertions that too often intrude on Bach performance are entirely absent in the Denk oeuvre. At the outset of the concert, Denk, dressed casually, offered warm and inviting introductory remarks, gently guiding the audience on what to listen for. He established an usual sense of friendly connection and shared adventure. What followed was indeed ingenuous, fresh, and daring. One felt taken along on a scenic tour by an admired and knowledgeable companion whose driving skills inspired confidence. After a left hand assertion of the Beethoven 5th motif at the beginning of the first movement, “Emerson,” of the Ives, Denk summoned his promised sense of Ralph Waldo Emerson’s Transcendalist beliefs in soft, sweet, impressionistic, passionately-expressed waves of sound. Emerson also rejected, quite controversially, the man/God dualism. He asserted in an invited 1838 Harvard Divinity School address that not only was Jesusnot God but that historical Christianity had turned Jesus into a “demigod, as the Orientals or the Greeks would describe Osiris or Apollo.” This provoked accusations from the Protestant establishment that Emerson was a poisoner of young men’s minds –and an atheist to boot. Harvard didn’t invite him back for 30 years. Ives, himself an iconoclast who suffered from the rejection of the musical establishment, was keenly aware of this controversy, and the Emerson movement roiled with impassioned dialogue. Repeated descending phrases ended in short bursts of upswept notes that appeared to symbolize the posing of multiple questions. They were followed by mighty octaves, arguably stern answers, which Denk counterpoised with elegance, not harshness. The Beethoven 5th motif recurred frequently in a major, as opposed to its typically minor, tonality (see Gershwin, above, and turn that “You Can’t Take That Away from Me” melody over). Dense chromatics nearly buried the theme at certain points. And soon, the hymn theme was back, anticipating the close of the movement in a hushed choir of echoing washes. But in the portentous final cadence, there was both ambiguity and uncertainty. Major and minor tonalities sounded simultaneously. Irreconcilable philosophies appeared to coexist. And Emerson’s integrity and craggy character maintained. After a burst of chromatic intensity, the heavens opened. A lovely, half-famiiar hymn, “Martyn” emerged. Ives derived this idea from Hawthorne’s story “The Celestial Rail-Road,” a parody of Pilgrim’s Progress, the 17th century Christian allegory by John Bunyan, in which a man, Christian, makes his burdened way to the Celestial City from his hometown “The City of Destruction.” Ives’s American travelers, by contrast, take a train (what better newfangled carriage?) to the Heavenly City, listening to the hymn of the pilgrims who are trudging there on foot. 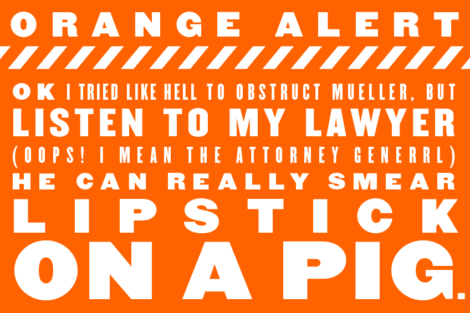 This kaleidoscope of images devolved to a wildly-chromatic quotation of Ives’s “Country Band March” from “The Fourth of July in Concord, juicily blasted over an oom-pah stride in the left hand. In Denk’s treatment, there was a sense of a nearly out-of-control celebration in which different musics, singers, and dancers collide delightfully. For sure, Ives’s Civil War bandmaster father, George, his principal musical influence, would have loved this evocation of one of his favorite musical memories. The third “Alcott” movement interwove hymns and Beethoven into a wondrous fabric, with motif and rhythm mounting in intensity and excitement, then declining into a luscious calm, with an exquisite folky, pentatonic melody, reminiscent of Stephen Foster’s popular romanticism. Listen, please, to Ives himself playing the “Alcott” movement. Even correcting for the primitive recording quality, it’s a rather wooden treatment of this richly-expressive work. 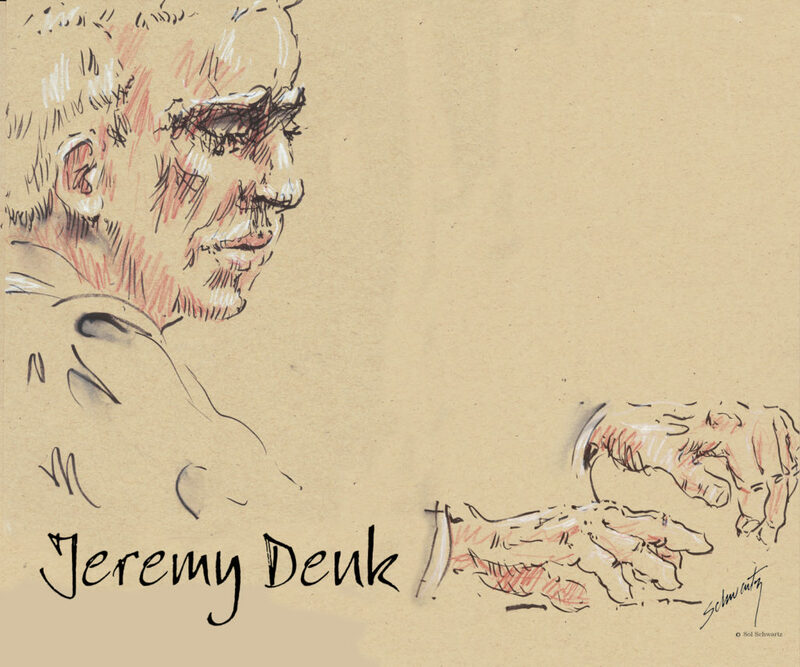 Now watch Jeremy Denk’s performance (exquisite and far superior to the composer’s, in your reviewer’s opinion) at the 92nd Street Y in New York City. Note Denk’s calm and unaffected demeanor, his delicious immersion in the music, and the fascinating results he derives from Ives’s multiple expressions of the Beethoven 5th theme in many keys and registers; and his sensitive dynamics in the hymns, giving them extra emotion. And, especially, listen for the many colors that Denk is able to pull from the piano toward the end, when a forthright, contrapuntal development paves the way to a fabulous, declamatory series of emphasized major chords on the Beethoven rhythm in the right hand over octaves in the left. The movement ends on an optimistic C major chord that dissolves into an uncertain B flat. It aches to resolve to F major, but it doesn’t. In Denk’s interpretation, there’s a touch of whimsy, rather than an anxious anticipation of unknowns that will certainly follow. In his “Essays,” Ives associated his father and Thoreau as loveable “cranks,” as well as admirable musicians. A month after Ives entered Yale in October, 1894, his father died. It was a bitter loss, and Ives would remark all through his life of his father’s profound influence on him. Indeed, he began his musical experimentation with his father, even while continuing his musical studies with Horatio Parker. This movement is often considered to memorialize both Thoreau and George Ives. Denk began the movement in quiet contemplation, and recited carefully a repeating row: D, E, Fsharp, A, B, that gave a familiar, pentatonic cast that we recalled from the piece of wood’s pressing on the black keys in “Hawthorne.” But here, the mood was decidedly different. Calm, not harmonic collision, prevailed. A series of half-familiar melodies were given sweet emphasis, including, curiously, a specific quotation of Stephen Foster’s so-called “Ethiopian” song of 1852, “Massa’s in de Cold, Cold Ground.” In a tribute to an outspoken abolitionist, this bit of blackface hokum, however popular in the minstrelsy of the post-Civil War period, came across as contradictory, even tasteless. Perhaps Ives’s father, George, performed it and enjoyed it. Whatever. Denk had no choice but to state it. Toward the end, an offstage flute sounded another pentatonic melody on C, D, E, G, and A, rising to a quotation of the hymn from the first movement and the three E’s of the major version of the Beethoven 5 motif. A repeated 3-note ostinato rumbled quietly in the left hand, several quiet chords and another, gentle 5-note row ended the piece with the feeling of a memorial. Louisa May Alcott, whose happy family life Ives celebrated in the “Alcott” movement, published a poem, “Thoreau’s Flute,” in the Atlantic Magazine in 1863. Its fervent evocation of music as a spiritual balm – both to accompany lamentation, and to lift the memory of a deceased great man, beyond grieving, to a level of permanent memorial. This is the sense the Ozawa Hall audience was left with at the intermission. A keen sense of propulsive rhythm propelled each movement, with the exception of the aforementioned Adagio. There were no out-of-context rubatos or rallentendos. The tempi were well chosen and were, if anything, moderate. Only in the final Presto in 6/8 meter, just prior to the penultimate, stately Quodlibet movement that presages the final statement of the opening Aria, did Denk let it all hang out, in brilliant, fast-paced abandon. 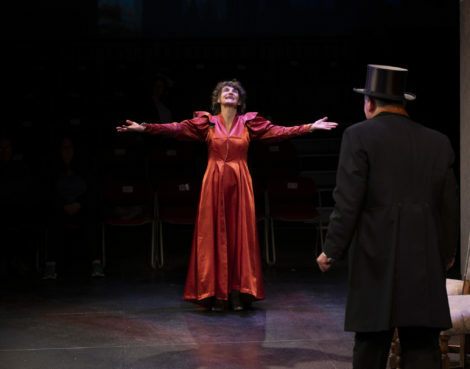 A technical marvel, with buzzing trills, astoundingly accurate cross-overs, whizzing legatos, and parenthetical phrases expressed in different volumes, it couldn’t have been played with more exciting dazzle. There was no air of showboating. Denk’s formidable technique was entirely put to the service of musical expression. The absolute silence of the house all during the performance, notable particularly in Variation 13, where Denk made sense of the horizontal dissonances over a G minor ground, easing the harmonic transition to D major through Bflat major and back to Gminor but focusing attention on the D enharmonic on which the modulations pivoted. All the while, each contrapuntal line was articulated precisely. Denk took optimal advantage here of the splendid resonance of Ozawa Hall, where you could hear a pin drop. On the subject of quiet, there’s a particular video of the Aria that opens and closes the Goldberg Variations that caught your reviewer’s eye, by the pianist Kimiko Ishizaka. It’s remarkable for its similarity to Denk’s interpretation in its calm contemplation of what’s to come and of what life itself portends, and, what’s more, it shows the manuscript, proceeding note by note. Enjoy it please, and don’t miss the opportunity to travel to wherever Jeremy Denk is summoning a vision of a Celestial Kingdom. Which is to say, in this reviewer’s opinion, whenever he performs.